I'm going overseas for a year to Italy where I may not be able to take lessons. Currently I dance on pointe and have been taking ballet lessons consistently for years. I started ballet at age 4...and did pointe for a few years at 12...had to stop due to moving to another country...and I recently started up again at 37! I have found a pair of Russian pointe shoes that work perfectly for me...and a padding as well. I am working on the Kitri Variation from Act III as well as sections in the Grand Pas Classique. 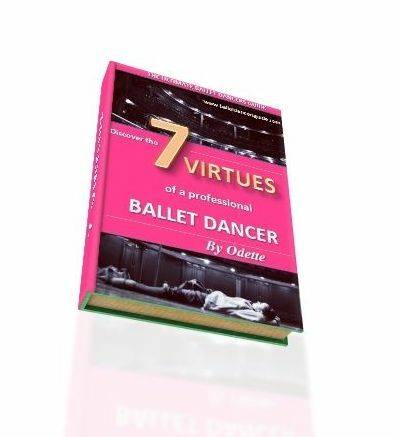 I wondered if you would have a DVD or exercises you might recommend to help keep one in shape, for pointe for a year when lessons are not possible? your own. Yet there is nothing better than having actual teachers in a class to help you, so if you can find ballet classes anywhere when you move away this would be most ideal. If you still you the access to ballet and pointe lessons now, then I would start writing down the classes and exercises for you to repeat by yourself. This way, you know you are practicing a properly structured class that you have tried in the studio as well as one that's been formed by the ballet teacher. I always liked to write down or find a way to remember the classes I did, so that in the holidays I could keep my dancing up without getting flustered to think of the combinations myself. Often, when you get put on the spot to try and create an exercise it's harder than you think! I hope these suggestions have helped, but please do keep in touch.